Designed and styled to form fit your specific truck, cross-over or SUV, our mud flaps look like they came straight from the factory. Unlike most OEM mud flaps, Husky Mud Guards are longer and wider to maximize the protection of your vehicle (as well as the vehicles behind you) from rocks, mud, snow and anything else the road might throw your way. Our Mud Guards offer excellent protection for your vehicle's exterior doors and quarter panels, keep mud and snow off your running boards and most importantly protect the area directly behind your tires from high impact rocks and road debris. 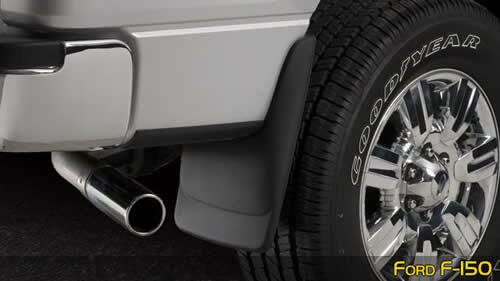 These custom fit mud flaps are designed using the latest in scanning and design technology to ensure that your mud flaps fit perfect and look great. 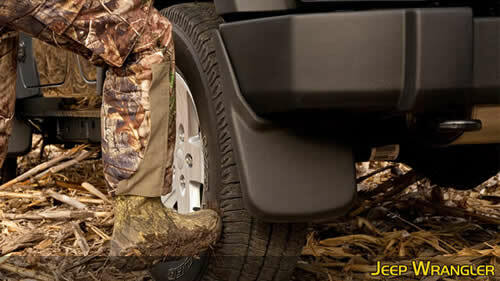 Husky Mud Guard style mud flaps include all the necessary fasteners and instructions for a quick and easy installation. Manufactured from a highly durable impact resistant thermoplastic, our mud flaps will endure extreme weather conditions for the life of your vehicle.